On Friday, RealtyTrac released their national quarterly report on foreclosures, showing a 14% RISE in foreclosure filings in the second quarter of 2008. The report also shows that nationally one in every 171 U.S. households received a foreclosure filing during the quarter. “Although much of the fallout from foreclosures is being driven by rampant activity in a few states, such as Nevada, California, Florida, Ohio, Arizona and Michigan, most areas of the country are seeing at least some increase in foreclosure activity,” said James J. Saccacio, chief executive officer of RealtyTrac. 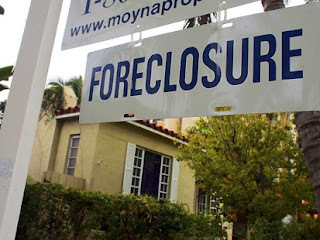 “48 of 50 states and 95 out of the nation’s 100 largest metro areas experienced year-over-year increases in foreclosure activity in the second quarter. In their survey of the top 100 Metro Markets for foreclosure activity, most of the top (hardest hit) cities are in the four states mentioned above. Memphis ranked 25th in the nation with a rate of 1 filing for every 105 households, Nashville ranked 56th with a rate of 1 filing for every 238 households, and Knoxville ranked 75th (a rate of 1 out of every 354 households). Now just might be the perfect time to jump on one of these Nashville foreclosure opportunities.